The East Coast of the US has been blasted with some terribly cold weather the last two weeks. To warm up, I’ve been digging through my summer photos! 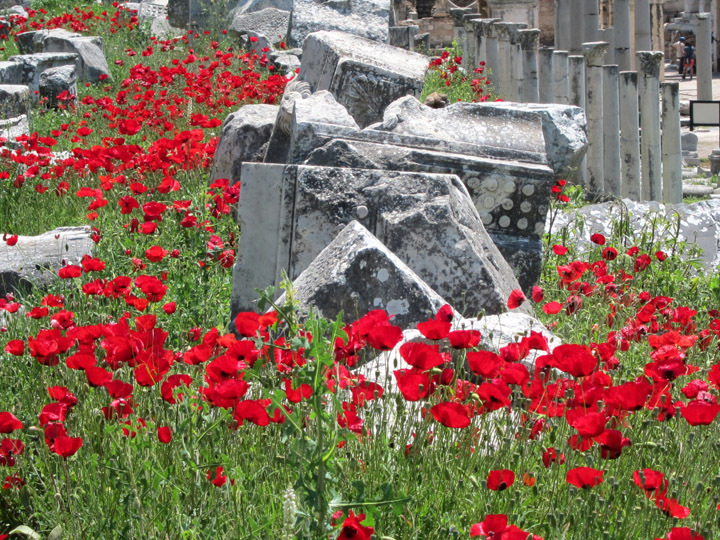 I’ve noticed a nice handful of picture in the genre of “Flowers & Old Stones.” There is something really beautiful about juxtaposing the rich texture of archaeological remains and colorful flowers. 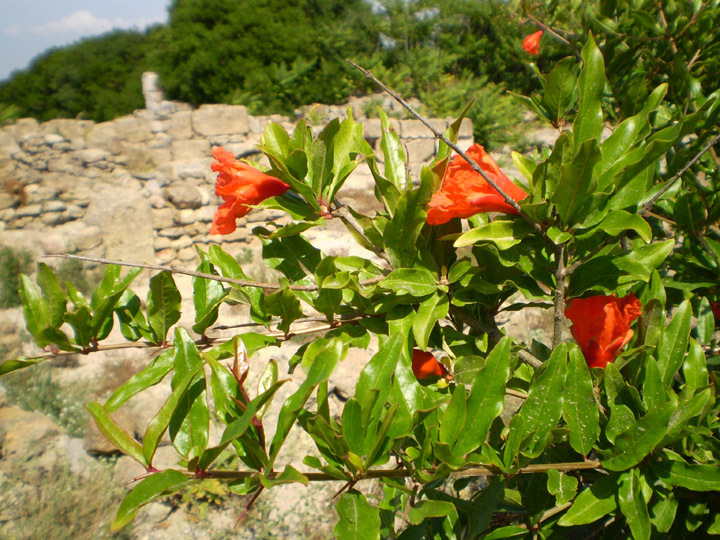 These white flowers seem to shrink the massive Greek ruins at Agrigento in Sicily. The temples at this site and their toppled remains are from a early Doric period with thick, weighty architectural elements. 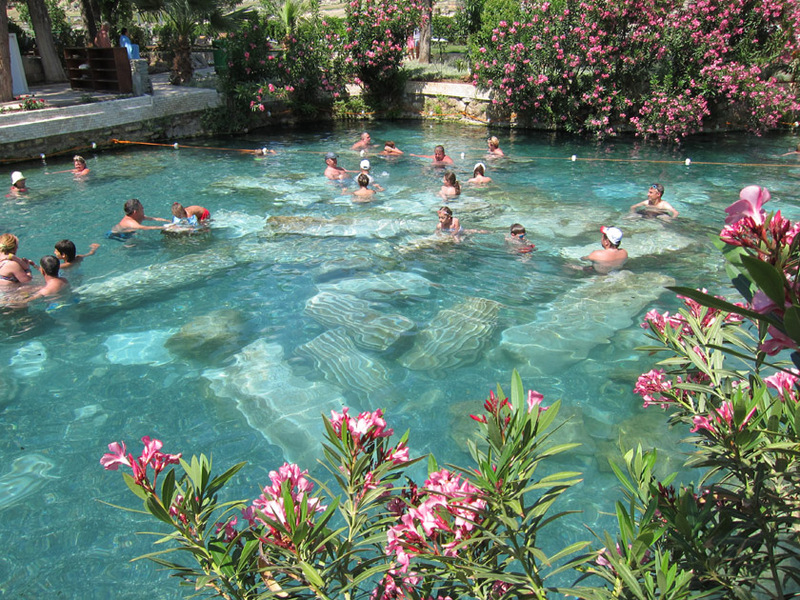 The bright aqua blue of the thermal spring at Pamukkale really contrasted well with the flowering pink shrubs along the water’s edge. The lovely landscape and sculptural super find made up for the meager remains of residences in the Phoenician city of Mozia. 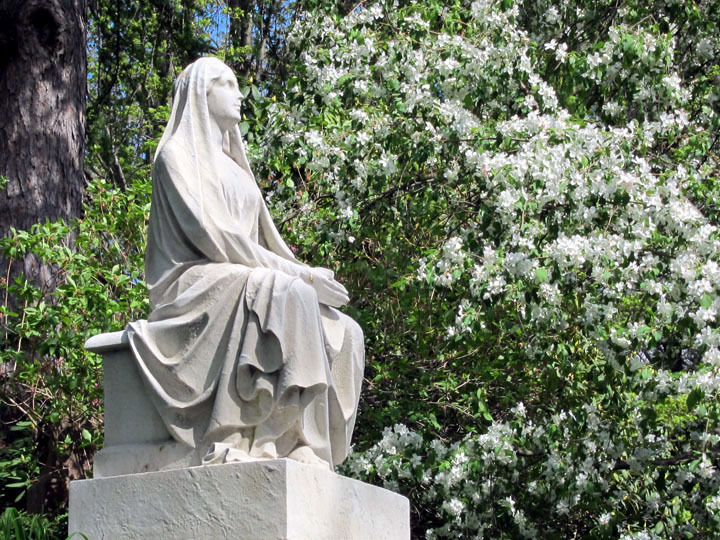 A more contemplative Victorian-era grave monument at the Mt. Auburn cemetery just outside Boston. 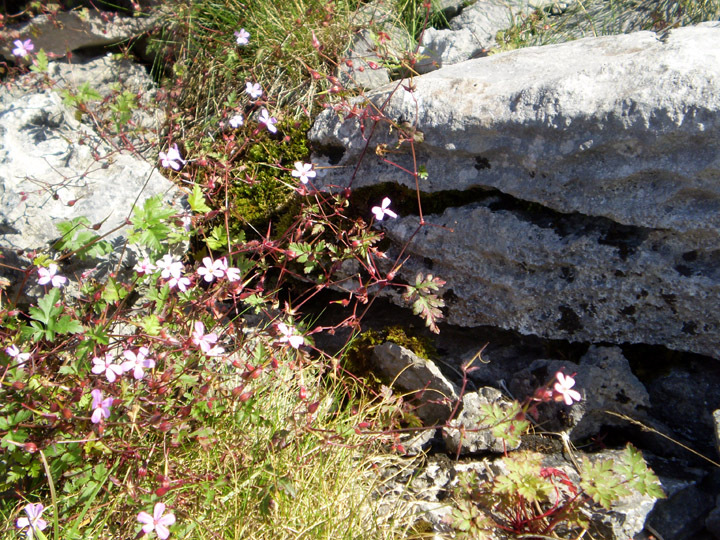 Wildflowers surrounding the very old stones of The Burren in Ireland. This area has several prehistoric stone burial sites. 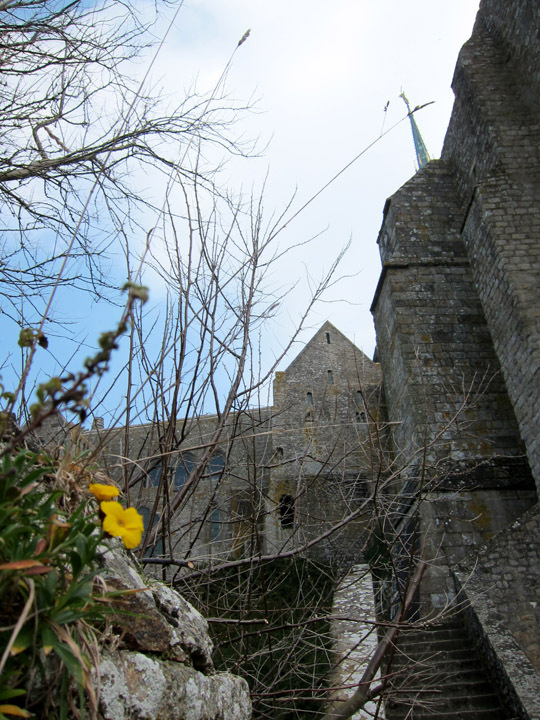 And as a reminder that spring is on the way, I managed to find one of the only flowers on Mont Saint-Michel last March! What lovely photos! Keep posting! Old stones, wonderful flowers and a keen eye make together a superb post 🙂 Although I am aware that you kept just for yourself the most beautiful part of this post: the ethereal, mystic feeling of awe and wonder on being for a while among all those magnificent old stones. Congrats, Christina! My first ever independent road-trip took me and a friend to Sicily, next month exactly 20 years ago (time flies…). 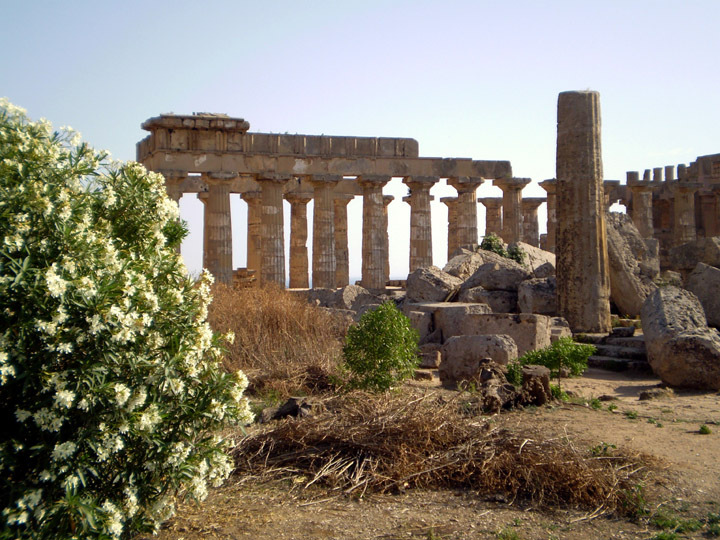 Agrigento still brings back good memories, the temple is totally fresh in my recollection, the walk out there… A sudden urge to go back soon. But that bath picture is beautiful and totally new to me, so maybe a detour to Turkey first. I’m glad you enjoyed Sicily as well. I am always telling people to visit. It’s certainly not the first place people think of in Italy but it really beautiful and has a unique culture. Turkey is worth many trips! I hope you make it there soon!